I was recently trying to recreate a crossword puzzle based off of a picture of half the puzzle and the answer key. I found it to be very enjoyable. Is this a thing? Is there anywhere that I can find reverse crossword puzzles that are designed to be "solved" this way? Sounds like you may be interested in diagramless crosswords. This is what they look like: you get clues, but no grid to work with. I think this is most commonly given the extremely creative moniker of fill-in puzzle. 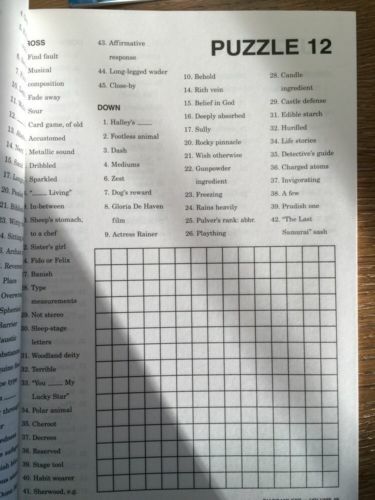 You are given an empty crossword grid and have to fill in the provided words. Where can I find advanced crossword puzzles relating to specific themes, e.g. history?